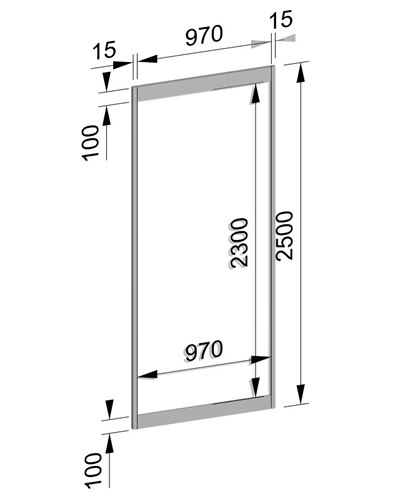 2.50 m x 1.00 m is the outside measurement of the board. The inside measurement (without aluminum frames) is 2.30 m x 0.97 m.
The ideal poster size is max. 1.30 m (130 cm) high x 0.90 m (90 cm) wide. The full listing of presentations currently available can be found here. To view the presentations you have to be a member of the ISCB and need to be logged into your user account. Thank You for Another Great ISMB/ECCB Conference! See you next year at ISMB 2012 in Long Beach, California (July 15-17), and at ECCB 2012 in Basel, Switzerland (Sept 9-12). ISMB/ECCB 2011 was pleased to present the following keynote speakers.